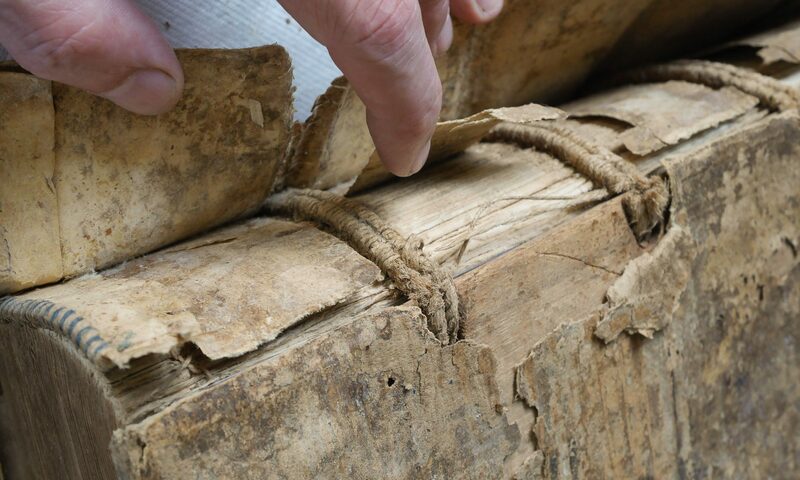 Jeffrey S. Peachey provides a wide variety of bookbinding and conservation services for institutions and individuals. He enjoys treating all types of books from incunabula to Grandma’s cookbook. All treatments are designed to preserve historic, artifactual, intrinsic and monetary value. All treatments are preformed in accordance with the American Institute of Conservation (AIC) Code of Ethics. Peachey is a Professional Associate in the AIC and has served as Chair of Conservators In Private Practice. For more than 25 years, he has specialized in the conservation of books and paper artifacts for institutions and individuals. He is the inventor of the Peachey Board Slotting Machine, which is used by many institutions world wide to help treat books with detached boards, and also makes specialized hand tools. Recently, he was awarded a 2015 Fellowship at the Bellagio Center in Lake Como, Italy, and the 2015 Patricia Fleming Visiting Fellowship in Bibliography and Book History from the University of Toronto, Canada. For information on how to get a treatment estimate, please contact Jeff!